PinTool is a simple but powerful Nuke node. It helps you to fit a 3D object into a scene. It can be used for precise positioning of still objects or even for simple object tracking. With PinTool, to manipulate a 3D model’s position, you simply drag control points on its surface (pins) to their correct position in the frame. 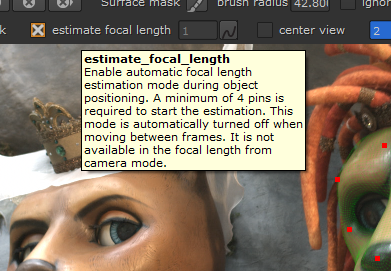 Also PinTool is able to estimate camera focal length as you positioning an object. Sometimes camera focal length should be known. For example for tracking. But sometimes you have to deal with footage which is shot with unknown lens. Don’t worry – PinTool helps you to figure it out. There are a lot of render settings simplifying work with PinTool. There is a Motion Blur mode for fast moving objects, automatically adjusted wireframe opacity helping to stay focused on tracking on different zoom levels and lit wireframe to underline model details even in wireframe mode. Colour setup knobs are also available for almost everything from wireframe to surface mask colour.